2011 has indeed been an eventful year for me. I did a few things I'd never dreamt of doing - wrote the 100th post in my blog, drove hundreds of miles on the freeway, ran a half marathon, learnt (a bit) of swimming, indulged in some water activities. If you ask me whether I want to live 2011 all over again, I'd say, hell yeah! But 2012 is already here bringing with it some new promises, a few challenges and lots of aspirations. One more development that happened the previous year was I got a very good camera (thanks to my husband), so my pictures are getting better. I have started liking photography and love taking pictures of food. Previously, clicking pictures at night proved to be a challenge since taking close-up pictures meant having to tackle unnecessary shadows. 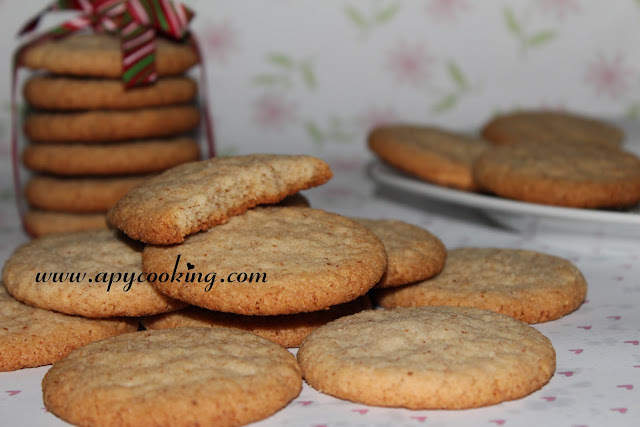 Coming to the cookies, these are a crispy crunchy lot with a delicate tinge of almond and a subtle flavour of coconut. These were actually supposed to be almond nankhatais. I was experimenting by adding almonds and coconut, with a few changes and substitutions (butter for ghee, sugar for powdered sugar). 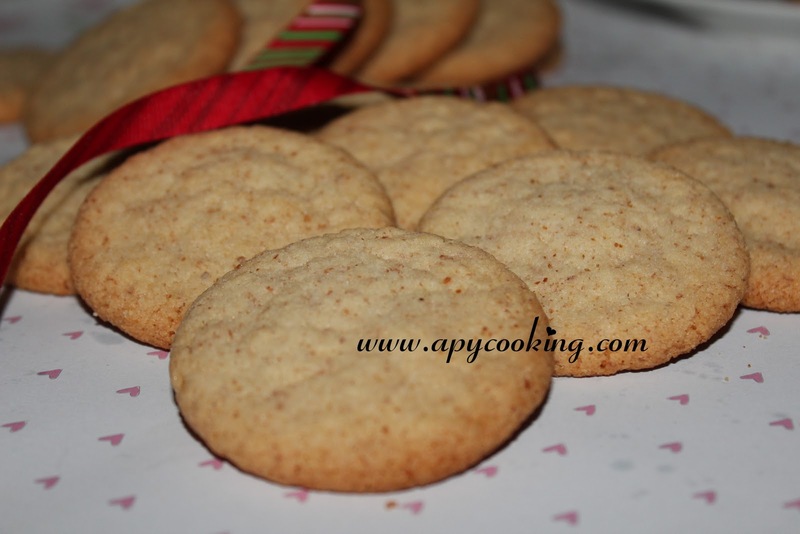 But the top did not crack like a good nankhatai's should, so I prefer calling them eggless cookies :). Grind the almonds (without water) for 15 to 20 seconds till they are powdered. [I did not soak them or skin them, so these are almonds with the skin]. In a large bowl, mix butter and sugar with a fork or spoon. You can very well use your hands. The butter should be soft (need not be completely melted) so that you can mix it easily with the sugar. Add almond powder and coconut and mix well. To this add the flour and baking soda and knead very well with your hands till you get a soft dough. Leave aside for 5 minutes. Line a baking tray with parchment paper. Scoop out tablespoon measures of the dough. Roll into a ball, flatten and place on the baking tray a couple of inches apart. 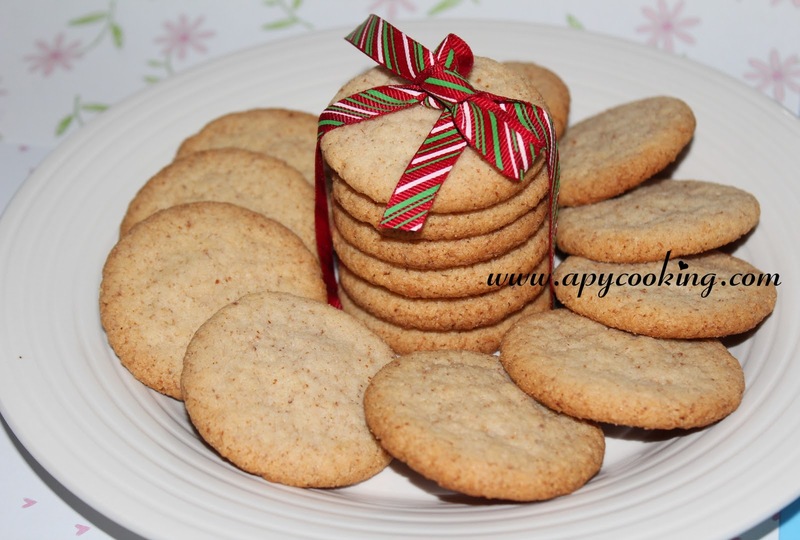 Using a tablespoon each time will give you cookies of the same size. Bake for about 16 minutes or till the edges turn brownish. The center will be soft. Allow to cool for a few minutes. The cookies will harden once they cool completely. 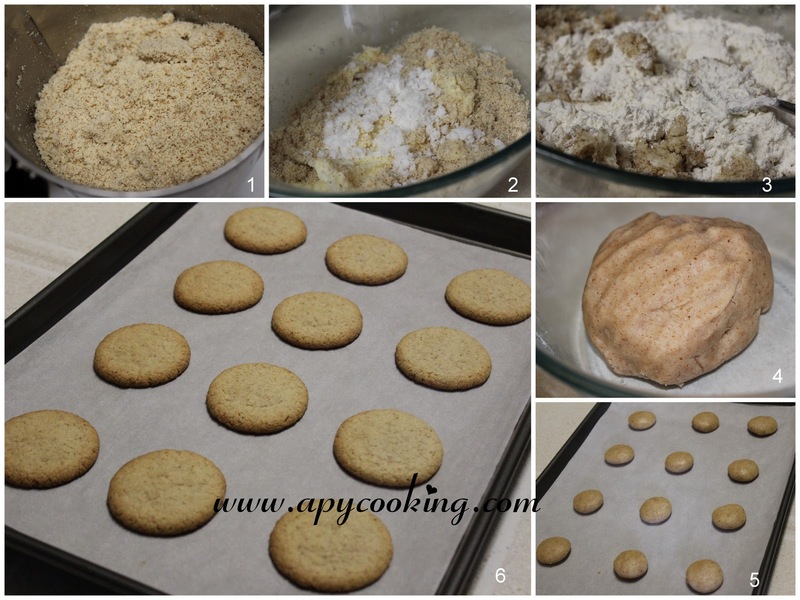 This recipe yields 30 to 32 cookies. May all your wishes come true dear and enjoy..:)) Cookies look yummy..